This article is about the speech made by Jesus Christ. It is not to be confused with Sermon on the Mound. The Sermon on the Mount (anglicized from the Matthean Vulgate Latin section title: Sermo in monte) is a collection of sayings and teachings of Jesus Christ, which emphasizes his moral teaching found in the Gospel of Matthew (chapters 5, 6, and 7). It is the first of the Five Discourses of Matthew and takes place relatively early in the Ministry of Jesus after he has been baptized by John the Baptist, had fasted and contemplated in the desert, and began to preach in Galilee. The Sermon is the longest continuous discourse of Jesus found in the New Testament, and has been one of the most widely quoted elements of the Canonical Gospels. It includes some of the best known teachings of Jesus, such as the Beatitudes, and the widely recited Lord's Prayer. The Sermon on the Mount is generally considered to contain the central tenets of Christian discipleship. The Sermon on the Mount is Jesus' longest speech and teaching in the New Testament, and occupies chapters 5, 6 and 7 of the Gospel of Matthew. The Sermon has been one of the most widely quoted elements of the Canonical Gospels. This is the first of the Five Discourses of Matthew, the other four being Matthew 10, Matthew 13 (1–53), Matthew 18 and the Olivet discourse in Matthew 24. The Sermon is set early in the Ministry of Jesus, after he has been baptized by John the Baptist in chapter 3 of Matthew's Gospel, gathered his first disciples in chapter 4, and had returned from a long fast and contemplation in the Judaean Desert where he had been tempted by Satan to renounce his spiritual mission and gain worldly riches. Before this episode, Jesus had been "all about Galilee" preaching, as in Matthew 4:23, and "great crowds followed him" from all around the area. The setting for the sermon is given in Matthew 5:1-2. Jesus sees the multitudes, goes up into the mountain, is followed by his disciples, and begins to preach. The Sermon is brought to its close by Matthew 8:1, which reports that Jesus "came down from the mountain followed by great multitudes". While the issue of the exact theological structure and composition of the Sermon on the Mount is subject to debate among scholars, specific components within it, each associated with particular teachings, can be identified. Matthew 5:3–12 discusses the Beatitudes. 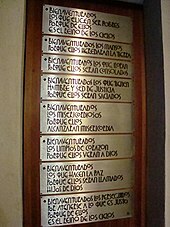 These describe the character of the people of the Kingdom of Heaven, expressed as "blessings". The Greek word most versions of the Gospel render as "blessed," can also be translated "happy". (See Matthew 5:3–12 of Young's Literal Translation for an example.) In Matthew, there are eight (or nine) blessings, while in Luke there are four, followed by four woes. In almost all cases the phrases used in the Beatitudes are familiar from an Old Testament context, but in the sermon Jesus gives them new meaning. Together, the Beatitudes present a new set of ideals that focus on love and humility rather than force and mastery; they echo the highest ideals of Jesus' teachings on spirituality and compassion. In Christian teachings, the Works of Mercy, which have corporal and spiritual components, have resonated with the theme of the Beatitude for mercy. These teachings emphasize that these acts of mercy provide both temporal and spiritual benefits. Matthew 5:13–16 presents the metaphors of salt and light. This completes the profile of God's people presented in the beatitudes, and acts as the introduction to the next section. There are two parts in this section, using the terms "salt of the earth" and Light of the World to refer to the disciples – implying their value. Elsewhere, in John 8:12, Jesus applies Light of the World to himself. The longest discourse in the Sermon is Matthew 5:17–48, traditionally referred to as the Antitheses or Matthew's Antitheses. In the discourse, Jesus fulfills and reinterprets the Old Covenant and in particular its Ten Commandments, contrasting with what "you have heard" from others. For example, he advises turning the other cheek, and to love your enemies, in contrast to taking an eye for an eye. According to most interpretations of Matthew 5:17, 18, 19, and 20, and most Christian views of the Old Covenant, these new interpretations of the Law and Prophets are not opposed to the Old Testament, which was the position of Marcion, but form Jesus' new teachings which bring about salvation, and hence must be adhered to, as emphasized in Matthew 7:24–27 towards the end of the sermon. In Matthew 6 Jesus condemns doing what would normally be "good works" simply for recognition and not from the heart, such as those of alms (6:1–4), prayer (6:5–15), and fasting (6:16–18). The discourse goes on to condemn the superficiality of materialism and call the disciples not to worry about material needs, but to "seek" God's kingdom first. Within the discourse on ostentation, Matthew presents an example of correct prayer. Luke places this in a different context. The Lord's prayer (6:9–13) contains parallels to 1 Chronicles 29:10–18. The first part of Matthew 7, i.e. Matthew 7:1–6 deals with judging. Jesus condemns those who judge others before first judging themselves: "Judge not, that ye be not judged." In the last part in Matthew 7:17–29 Jesus concludes the sermon by warning against false prophets. 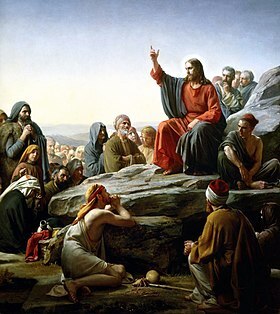 The teachings of the Sermon on the Mount have been a key element of Christian ethics, and for centuries the sermon has acted as a fundamental recipe for the conduct of the followers of Jesus. Various religious and moral thinkers (e.g. Tolstoy and Gandhi) have admired its message, and it has been one of the main sources of Christian pacifism. If any one will piously and soberly consider the sermon which our Lord Jesus Christ spoke on the mount, as we read it in the Gospel according to Matthew, I think that he will find in it, so far as regards the highest morals, a perfect standard of the Christian life. The last verse of chapter 5 of Matthew (5:48) is a focal point of the sermon that summarizes its teachings by advising the disciples to seek perfection." The Greek word telios used to refer to perfection also implies an end, or destination, advising the disciples to seek the path towards perfection and the Kingdom of God. It teaches that God's children are those who act like God. The teachings of the sermon are often referred to as the Ethics of the Kingdom: they place a high level of emphasis on "purity of the heart" and embody the basic standard of Christian righteousness. The issue of the theological structure and composition of the Sermon on the Mount remains unresolved. One group of theologians ranging from Saint Augustine in the 5th century to Michael Goulder in the 20th century, see the Beatitudes as the central element of the Sermon. 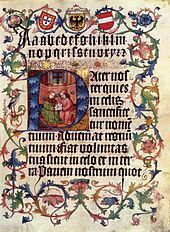 Others such as Bornkamm see the Sermon arranged around the Lord's prayer, while Daniel Patte, closely followed by Ulrich Luz, see a chiastic structure in the sermon. Dale Allison and Glen Stassen have proposed a structure based on triads. Jack Kingsbury and Hans Dieter Betz see the sermon as composed of theological themes, e.g. righteousness or way of life. Anabaptist groups would hold the Sermon on the Mount to be the primary section of the Gospels that gives direction to how a Christian should live. For example, Matthew 6:24 says "No man can serve two masters: for either he will hate the one, and love the other; or else he will hold to the one, and despise the other. Ye cannot serve God and mammon." For this reason, certain Anabaptist groups such as the Bruderhof and Hutterites share all their possessions. 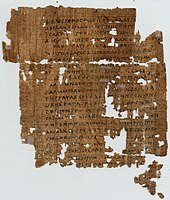 While Matthew groups Jesus' teachings into sets of similar material, the same material is scattered when found in Luke. The Sermon on the Mount may be compared with the similar but more succinct Sermon on the Plain as recounted by the Gospel of Luke (6:17–49), which occurs at the same moment in Luke's narrative, and also features Jesus heading up a mountain, but giving the sermon on the way down at a level spot. Some scholars believe that they are the same sermon, while others hold that Jesus frequently preached similar themes in different places. According to perennialist author Frithjof Schuon, the message of the Sermon is a perfect synthesis of the whole Christian tradition. The text has the largest number of perennial and universal doctrines, and spiritual advice of all Scripture. Much of what Bible readers remember from Scripture derives from the Sermon. Source of spiritual and moral instructions, the Sermon on the Mount is regarded by the Perennial Philosophy "as the quintessence itself of religion". Perennialism considers the injunctions of the Sermon on the Mount as belonging to the esoteric dimension of Christianity. ^ a b c "Sermon on the Mount", The Oxford dictionary of The Christian church, New York: Oxford University Press, 2005 Text " editor-last Cross " ignored (help); |editor-first= missing |editor-last= (help). ^ Baasland, Ernst (2015). 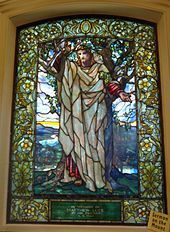 Parables and Rhetoric in the Sermon on the Mount: New Approaches to a Classic Text. Tubingen, DE: Mohr Siebeck. ^ a b c Vaught, Carl G. (2001), The Sermon on the mount: a theological investigation, ISBN 978-0-918954-76-3 Text " pages xi–xiv" ignored (help). ^ Spear, Charles (2003). Names and Titles of the Lord Jesus Christ. p. 226. ISBN 0-7661-7467-0. ^ France, R. T. (2007). The Gospel of Matthew. pp. 1118–9. ISBN 080282501X. ^ For Tolstoy, see My Religion, 1885. cf. My Religion on Wikisource. ^ a b Vaught, Carl G. (1986). The Sermon on the Mount: A Theological Interpretation. SUNY Press. pp. 7–10. ISBN 9781438422800. ^ Talbert, Charles H. (2010). "Matthew". Paideia: Commentaries on the New Testament. Baker Academic. p. 78. ISBN 9780801031922. ^ a b Allison, Dale C. (September 1987). "The Structure of the Sermon on the Mount" (PDF). Journal of Biblical Literature. 106 (3): 423–45. JSTOR 3261066. ^ Stassen, Glen H. "The Fourteen Triads of the Sermon on the Mount." Journal of Biblical Literature, 2003. ^ Keener, Craig S. (2009). "The sermon's message". The Gospel of Matthew. pp. 160–2. ISBN 978-0-8028-6498-7. ^ Mahoney, Jack (February 2012). "Catholicism Pure and Simple". 2nd, 3rd, and 4th paragraphs. The most widespread and notorious of these strategies was the double standard approach which developed by the time of the Middle Ages, requiring the sermon to be taken seriously by only some members of the Church. ^ "Global Anabaptist Mennonite Encyclopedia Online (GAMEO)". first paragraph. Whereas Luther emphasized salvation by faith and grace alone, the Anabaptists placed emphasis on the obedience of faith. ^ "5 Beliefs That Set the Bruderhof Apart From Other Christians". Newsmax. Retrieved 2017-06-16. ^ Dalai Lama (1998). Robert Kiely; Thupten Jinpa (eds.). The Good Heart: A Buddhist Perspective on the Teachings of Jesus. Wisdom Publications Inc. p. 58. ISBN 978-0861711383. ^ Borg, Marcus, ed. Jesus and Buddha: The Parallel Sayings. Jack Kornfield, intro. Ulysses Press. 2004. Wikimedia Commons has media related to Sermon on the Mount. St. Augustine of Hippo. Commentary on Sermon on Mount. Translated by William Findlay. Stassen, Glen H. and David P. Gushee. Kingdom Ethics: Following Jesus in Contemporary Context, InterVarsity Press, 2003. ISBN 0-8308-2668-8. Stassen, Glen H. Living the Sermon on the Mount: A Practical Hope for Grace and Deliverance, Jossey-Bass, 2006. ISBN 0-7879-7736-5. Stevenson, Kenneth. The Lord's prayer: a text in tradition, Fortress Press, 2004. ISBN 0-8006-3650-3. Soares de Azevedo, Mateus. Esoterism and Exoterism in the Sermon of the Mount. Sophia journal, Oakton, VA, USA. Vol. 15, Number 1, Summer 2009. Sermon on the Mount as heart of Gospel's Law according to the Catechism of the Catholic Church.